I had pretty specific instructions. 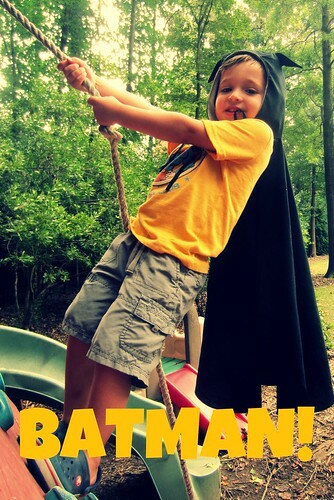 He needed a batman cape with bat ears. 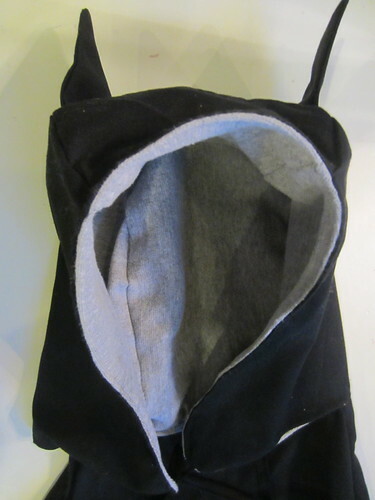 I was going to trace a hood from a jacket and go from there, but then I thought of those Cozy Hoods in Little Things to Sew. My original plan was to make it unlined, you know, since it is a dress up thing and all. After I made the outside I decided it might actually be easier to line the hood than to try to finish the edges of the unlined hood. I had some gray jersey that was scrap from some tees I made that ended up being great. 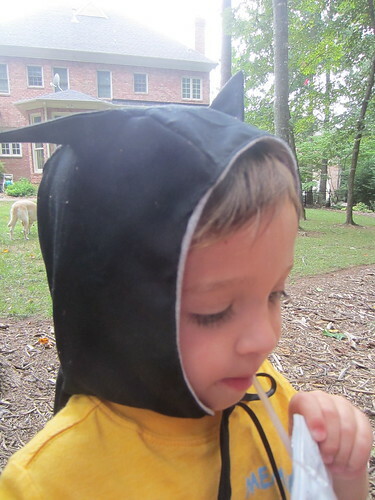 I did not actually read the directions to sew this hood, since I was improvising. I actually didn't even bother to cut out the lining pieces from the pattern - I just used the same ones I did for the outer pieces. Seemed to work fine, but it probably works even better the way it is written - Oliver + S patters/Liesl Gibson are my very favorite patterns ever. I even had some black bias tape to use for the ties. I got to use my narrow rolled hem foot for my machine on the cape - so awesome - wouldn't have attempted without it. I have one satisfied customer!!! Lucky little fella! 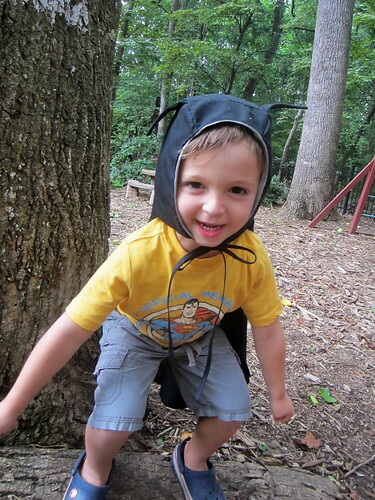 Both the cape and your little one are so cute. Just ran across your blog...love it! This cape is awesome! 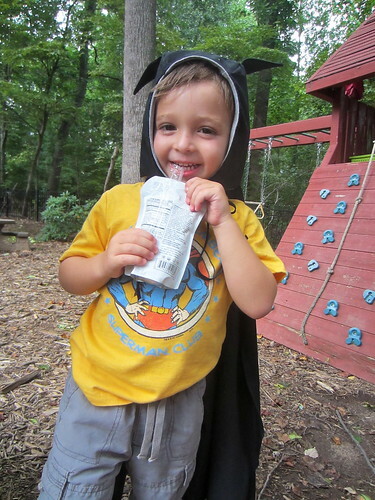 It's fabulous and almost as cute as your little guy! What a fabulous cape with the hood and ears!!! I bet it gets LOTS of use. I'm going to have 'duh duh duh duh duh duh duh duh... Batman' in my head for the rest of the night... LOL!! !